well, well, well, i have some good news and some more good news. the first bit of good news is, yesterday was my last day of jury duty. turns out the case got settled, they sent us home, and it was all just one big waste of time in the end. yipee! 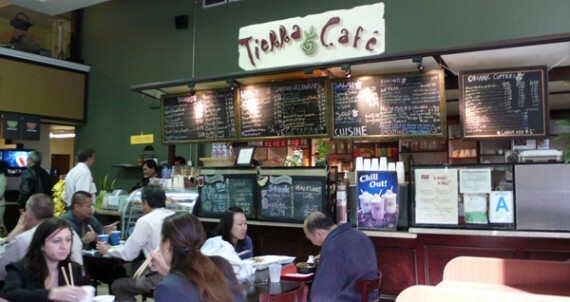 the next bit of good news is that on my last day stuck in downtown town los angeles, i hit up tierra cafe, a really great little vegetarian/vegan-friendly restaurant in the wilshire promenade food court. i’ve been wanting to try tierra cafe forever, but the thing is, it’s only open monday thru friday from 7am to 3:30pm…hours during which i’m either asleep in bed or far away, working in hollywood. now that i’ve eaten at tierra cafe, i can tell you people who work close by and get to dine there often are very, very lucky. 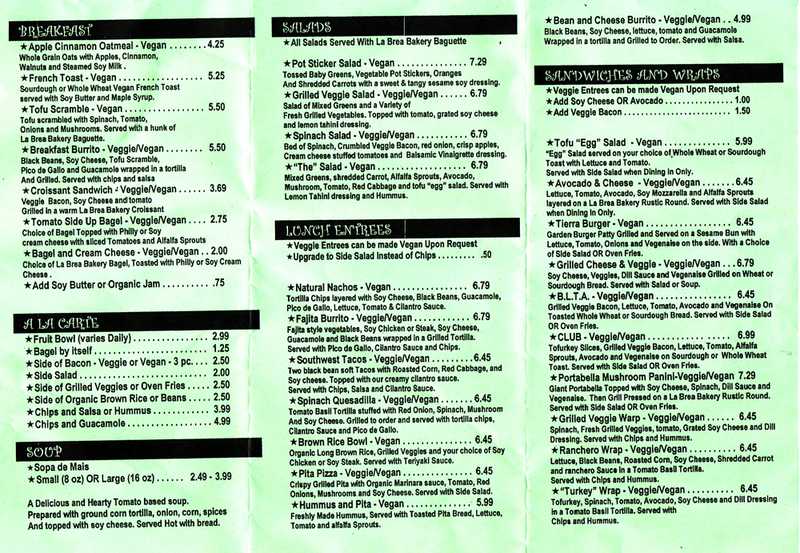 just check out the menu—it’s huge, cheap, and everything can be veganized! 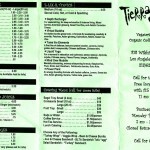 seriously, i was so impressed with the menu, it took me like ten minutes to figure out what i wanted. there was breakfast stuff, soups, salads, taco plates, pizzas, sandwiches, wraps and a whole black board full of specials. i could eat there every day for a month and get something new each time! 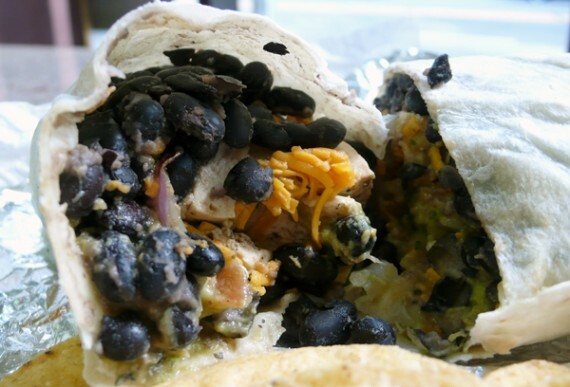 even though it was already noon, i went with the breakfast burrito…because it’s never too late to eat my favorite meal of the day, and seriously not enough vegan places have a breakfast menu. i would definitely order the breakfast burrito again, ’cause i loved every last bite. it came with some chips and salsa as well, and i’m talking like a ton of chips. i just took a few out of the bag for the picture, but there were seriously like 80 million of them. the chips were nothing to write home about, just tortilla rounds from a store-bought bag. i didn’t bother with them at all, so the burrito got my full attention. 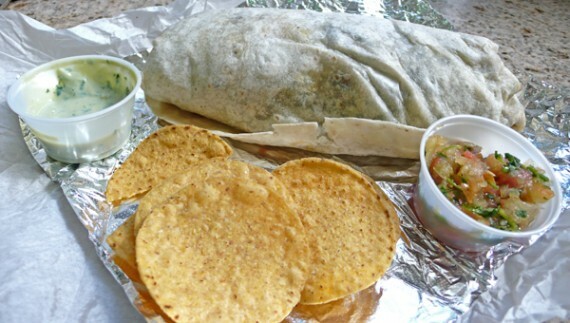 the burrito was huge and came stuffed with the most delicious insides. there were really thick juicy bits of tofu scramble, onions, tomatoes, tons of black beans, follow your heart cheese, and guacamole. there wasn’t a lot of seasoning in it, but it tasted so good covered in the fresh salsa and cilantro cream that came on the side. not only was the burrito massive and tasty, it was only $5.50! that’s such a good deal for this thing, considering it’s all high-quality vegan goodness. i also ordered a side of vegan bacon to round off the breakfast experience, and it was kind of meh. 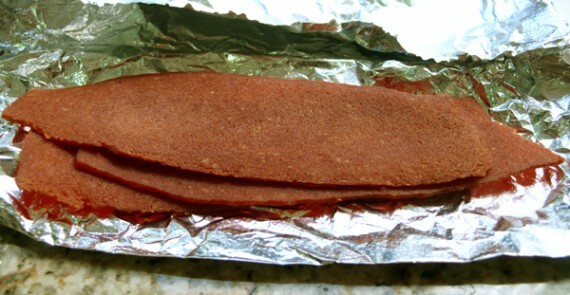 as you can see, it’s just the prepackaged vegan bacon you can find at the grocery store. definitely not worth $2.50…but hey, now i know. now for a bit of history on the place: it turns out that tierra cafe used to be owned by miranda, the chick who owns flore and flore cafe. that may explain why some of the food is kinda flore-esque and a lot of the menu items have the same names as ones at flore, like “the salad,” “the portabella panini,” and “the b.l.t.a”. now the place is owned and run by a cute and sweet older asian couple. while they don’t speak much english, they definitely know what the word “vegan” means, so be sure to specify. tierra cafe fills up at lunch time, but there’s plenty of seating. there’s basically no parking anywhere, so you are going to have to either walk quite a ways, or take the metro (there is a station conveniently located about 20 feet away). one tip people give on yelp, is to order your food in advance and then illegally park in the alley when you run in to grab it. 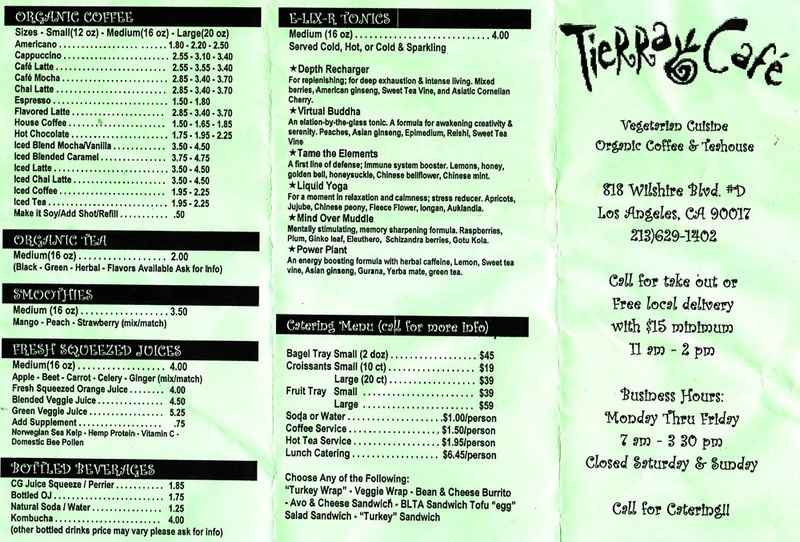 so, if you ever find yourself in downtown during the week, definitely try out tierra cafe. 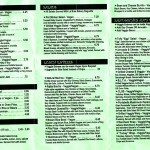 the menu is huge and delicious. i just wish they were open on weekends!